STUDENTS raised more than a £1,000 to boost a teenager’s dream of reaching the Tokyo Paralympics. 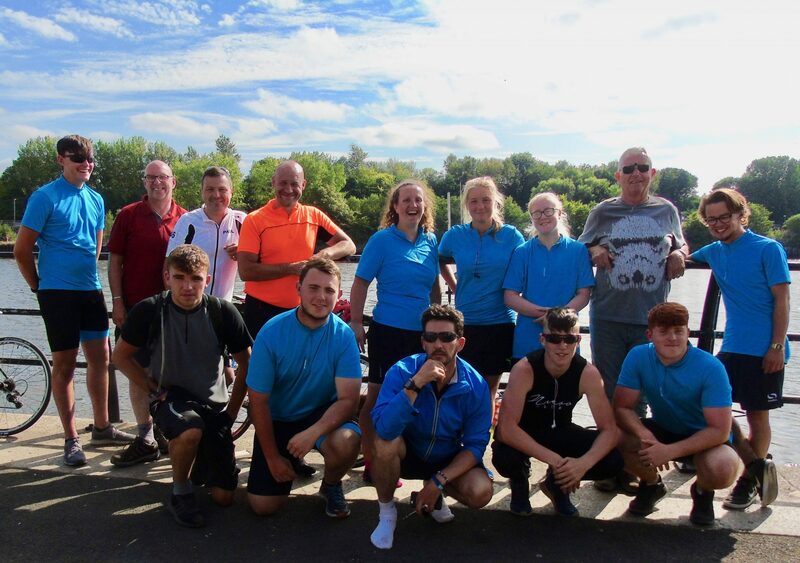 Twelve Public Service and Sport students from Priestley College cycled 140 miles – from Workington to Newcastle – over 29 hours to raise money for wheelchair athlete Ben Callander. “It was the thought of helping Ben that kept you going when it got tough,” said former Bridgewater High School pupil Hannah Daniels. The 17-year-old, who studies Public Services, Geography and History at Priestley, was only defeated by a hill at Alston in Cumbria which saw the cyclists climb to an elevation of 1,903 feet. For a section of that part of the journey she travelled in the accompanying support vehicle supplied by Arnold Clarke, but nine of the students completed the full distance after first dipping their bike tyre in the seawater on the West coast. Tutor Paul Mackinnon said he was impressed by the spirit of those who took part. “You need to have determination to stand any chance of completing the coast-to-coast route,” he said. Ben Callander, who left Priestley in the summer with BTECs in Public Services and Sport, has now received £1,000 from the Priestley Education & Training Trust to help his bid for Paralympic glory. He began wheelchair racing in 2013 after watching the sport at the 2012 Paralympic Games and being inspired by David Weir. His discipline is the T33 classification – one of four categories for wheelchair athletes with cerebral palsy, a neurological condition that affects independent movement. Ben’s condition means he requires a walking aid and wheelchair to get around, but he has not let that hold him back. “It means a lot to continue receiving this kind of support from everyone at Priestley and it helps inspire me to achieve my goal,” said Ben.